Due to the Awami Action Committees demonstration, the Prime Minister of Pakistan has allowed subsidies on wheat, minerals and electricity for the region. 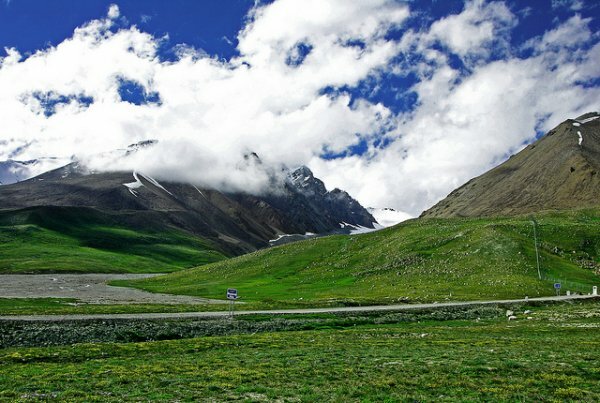 Gilgit Baltistan remains a point of dispute between India and Pakistan. Awami Action Committee’s (ACC) forceful demonstration for 22 days, yielded Prime Minister of Pakistan Nawaz Sharif before the people’s unity in Gilgit-Baltistan, to accept charter of nine point demands which included restoration of subsidized wheat, mineral and electricity for the region. It was opening of the end game for the change through collective action and cooperation to press ahead for constitutional status and human rights for the people of Gilgit–Baltistan. Giving details of emerging scenario in the region, Manzoor Hussain Parwana, Chairman, Gilgit-Baltistan United Front told, “exhibiting the unity strength has generated hope of the people to get their genuine demands accepted”. ACC, constituent of 22 different political, religious and nationalist parties organised demonstrations with full throttle to get the demands accepted of local issues particularly the withdrawal of subsidy on wheat and consuming commodities. Extending support and solidarity with the people of GB region, Jammu Kashmir National Independence Alliance and Kashmiri diasporas community in United Kingdom and Europe presented a joint memorandum to Counsel General of Pakistan in Bradford. The leaders of JKNIA stressed that the people of Gilgit Baltistan and Pakistan Occupied Kashmir (POK) consider the existing governance arrangements under the Karachi Agreement of 28 April 1949 between the region and Pakistan as draconian colonial mechanism of subjugation and control. They unequivocally reject and oppose the terms and conditions of Karachi Agreement agreed under duress and imposed upon our people by Pakistan. According to them 28th April, 1948 Karachi Agreement is not valid as the people of Gilgit-Baltistan were not given the right of self determination and this agreement was not done according to their will. The fact of the matter is that there is no need of any second thought that Giglit-Baltistan is a disputed territory on the agenda of the UN and its status is to be determined through a plebiscite. Gilgit Baltistan (formerly known as the Northern Areas), called the Roof of the World, where people are still deprived of their fundamental rights guaranteed under a constitution, which in fact, is a violation of International Charter of Human Rights to which Pakistan is a signatory. According to Senge H. Sering, President of the Institute for Gilgit Baltistan Studies, US, the region has been declared disputed by US and described by European Parliament as “the last colony”, “a region in chains”, and “a black hole in the word”. In a statement in the US Senate on 14th May 2014, Senge quoted Dr. Pervez Hoodbhoy, a famous Muslim scholar, observation about Pakistan as an open prison for the minorities and this statement rings true for the people of Gilgit-Baltistan as well. Several reports including those from the Asian Human Rights Commission and Pakistan Human Rights Commission indicate involvement of Pakistani military and law enforcement in mass killings in Gilgit-Baltistan especially of those demanding religious freedom. Secret services agencies provide patronage to terrorists such as the Taliban and turn a blind eye when they harass and murder minorities, mentioned Sering in his statement. Former chief justice of POK Manzoor Gilani has said that the stance of the ministry of Kashmir affairs that Gilgit-Baltistan and POK are out of the constitutional limits of the parliament of Pakistan as based on facts, constitutional position and the interim POK constitution order of 974. Shehbaz Khan Senior Advocate Gilgit Baltistan Supreme Appellate Court Bar has raised the demand of making amendments in GB(Empowerment & Self Governance) Order 2009 by giving powers to the chosen GB Legislative Assembly & the Chief Minister as done for Pakistan Occupied Kashmir (PoK). Also demanded to legislate Minerals, Forest, Tourism and Hydro Power being made provincial subjects in Pakistan be provided to PoK as well. He has opposed the policy of import and appointment of non-local lawyers and judges against the posts in apex judiciary, administrative courts and other law related institutions in Gilgit Baltistan. Meanwhile, the Fact-finding Senate Functional Committee on Human Rights has also recommended to Pakistan government, empowering the Gilgit-Baltistan Legislative Assembly by amending the G-B Empowerment and Self-Rule Order 2009 .But, Manzoor Hussain Parwana, chairman has demanded that the order of 2009 should be abolished without any delay because it had failed to ensure the rights of the people and instead created more problems for the people of the region. About the roadmap of Gilgit Baltistan, United Movement, Parwana termed it as the roadmap to independence “the movement is aimed at freeing Gilgit Baltistan from Pakistan occupation. You need a genuine movement to achieve this goal and the GBUM is a platform of the region, for the region and by the masses of the region, I feel proud in claiming that it’s the only national political party of the region”. He further elaborated that Gilgit-Baltistan was historically and economically an independent state, the international community, and the United Nation had stood with masses of the region at times of adversity. It is a well-known fact that GB, having two million of people is a disputed region. According to Parwana, Gilgit-Baltistan being a disputed region and Pakistan had no right to impose tax on the people of the region. He said Pakistan has misled the world by introducing the so-called autonomy and self-governance order of 2009 to force a powerless and fraud system in the area. He said that the area was one of the richest of the world and Pakistan took away over Rs 60 billion from the area under different taxes every year but in return gave the indigenous people a paltry sum of around 10 billion annually that too in installments. Pakistan very clandestinely is implementing the plan of changing GB demography by terminating the region’s State Subject Rules. The main responsibilities of this pathetic state of affairs lie on the government of Pakistan but we cannot exempt India from shunning her responsibilities as India claims Gilgit-Baltistan as hers but failed to raise befitting voice against human rights violations here, laments Parwana. People of GB are feeling insecure as well due to Sino-Pakistan border agreement. In Sino-Pak border agreement of 1963 Pakistan had given over 19,360 square kilometers of Gilgit Baltistan to China in which large tracks of Aghil, Shimshal, Raskam and Shaksgam valleys of the region falls. Prime Minister Nawaz Sharif during his visit to China and signed multiple projects agreement with his counterpart. But Gilgit Baltistan was not taken on board when Pakistan entered in an agreement with China which has caused political uncertainty and fear among the natives.